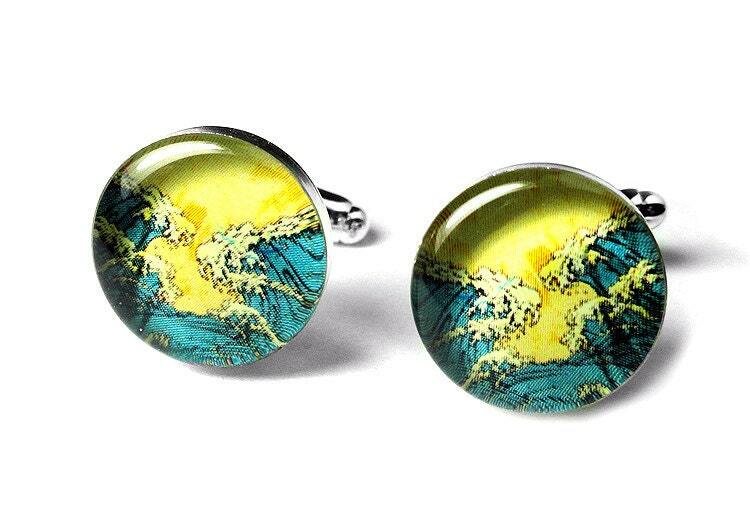 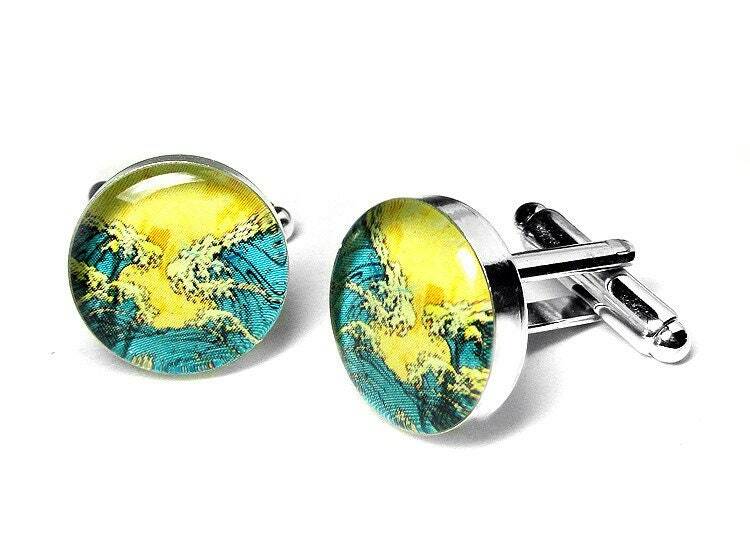 These awesome wave cufflinks are made using only the finest resin in order to preserve and enhance the images. 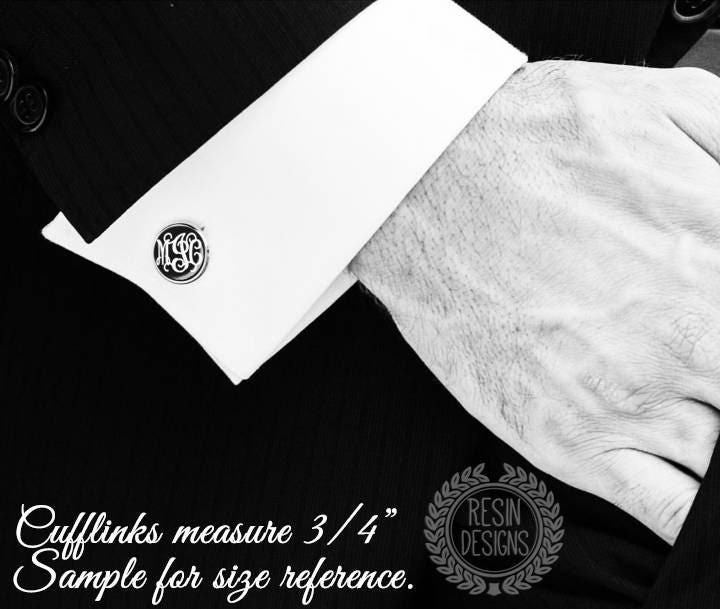 Specs: These silver plated cufflinks are 3/4" in size. 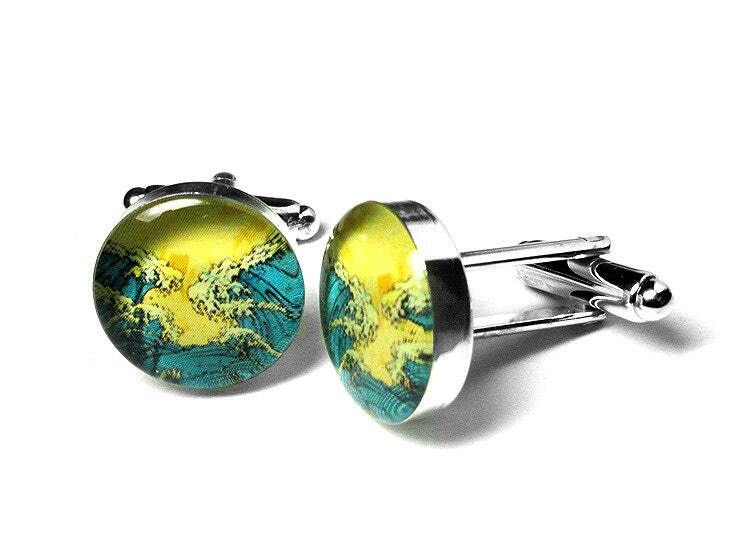 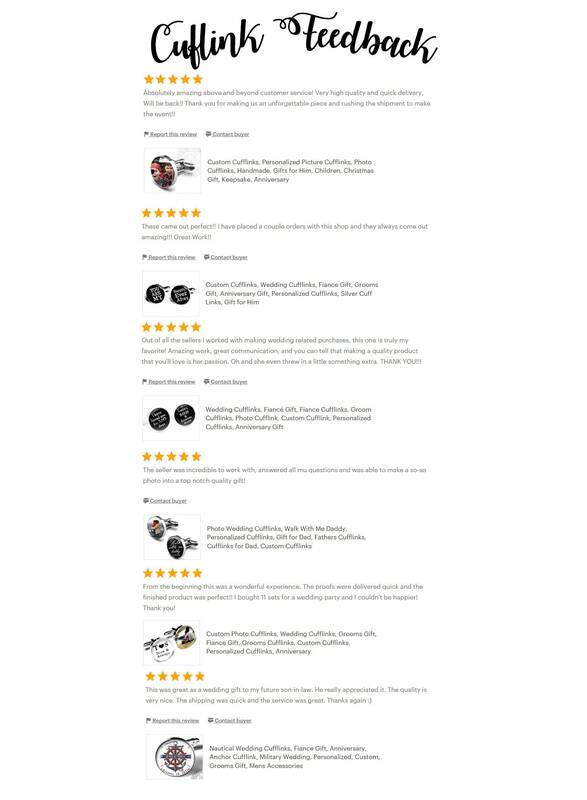 They are very well made with a nice weight to them. 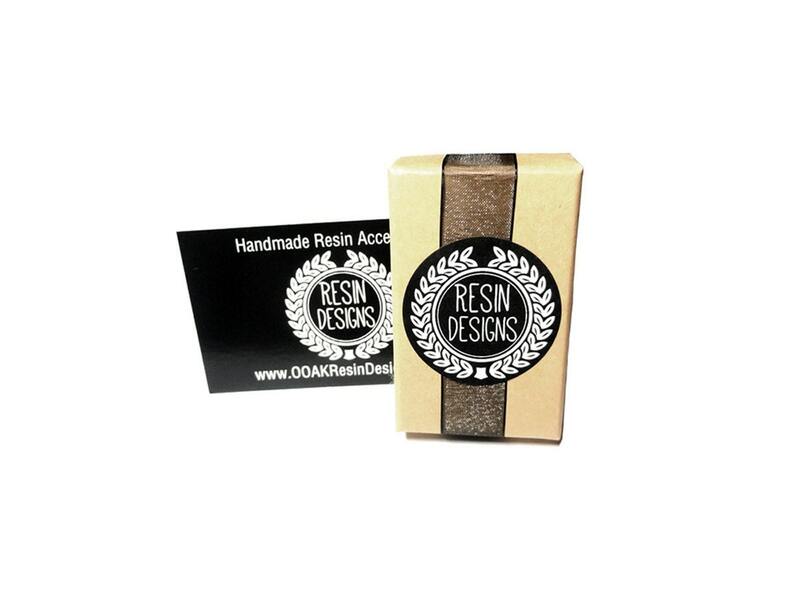 Your item wiwill be packaged in a Kraft jewelry box as shown.